A non-league football manager has been punished by the FA after he led his team off the field of play following an alleged racist comment made by a linesman during the game. James Kinsey, boss of Hallmark Security League Division One outfit Wythenshawe Town, directed his players off the pitch during January's clash against Warrington-based Rylands FC. 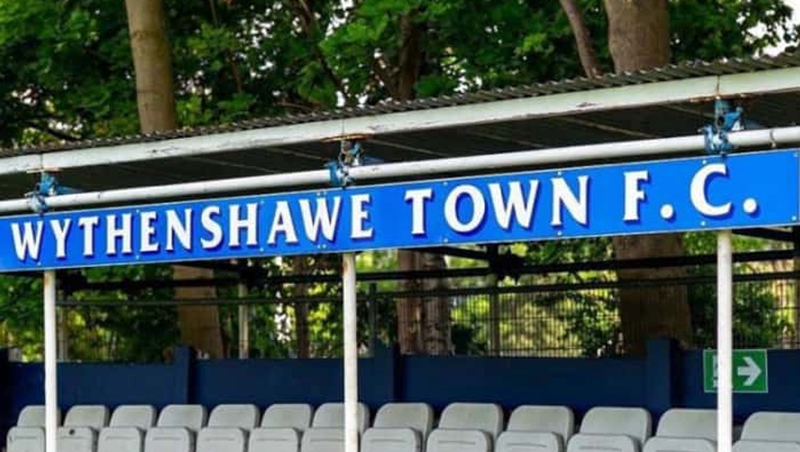 Four Wythenshawe Town substitutes and manager Kinsey were left outraged by an alleged racist comment made by one of the assistant referee's, directed towards a black player in the host's dugout. Kinsey then hastily withdrew his players from the field of play, which resulted in the game being abandoned with the visitors leading 3-0. Alongside a seven-day ban, Kinsey was also fined by the Football Association for "bringing the game into disrepute". "A participant shall at all times act in the best interests of the game and shall not act in any manner which is improper or brings the game into disrepute, or use any one, or a combination of, violent conduct, serious foul play, threatening, abusive, indecent or insulting words or behaviour." Wythenshawe Town chairman Chris Eaton labelled the decision to hand his manager with a ban "appalling", and said how disappointed he was with how long it's taken for this matter to be resolved. "I don't quite understand why it has taken so long if I'm honest, particularly because of the gravity of it," said Eaton. "But I do think there are conversations we need to have round the table, the league, the FA, people like ourselves and come up with some ideas to help each other. "We're all in this together and it's not good news for any of us if this has happened once, let alone if it's going to continue to happen, which it shouldn't. People need to realise it's not acceptable and you cannot get away with it." The Manchester FA said that they "strongly condemn discrimination of any kind", but have been criticised by anti-racism campaign group Kick It Out, who said that they were "extremely concerned" with how this case was dealt with. Former Tottenham striker and Kick It Out ambassador Garth Crooks paid Kinsey's fine as a "gesture of solidarity and support". A statement read: "Football is sending out the wrong signal when bigger fines are given to the victims of abuse rather than the alleged perpetrators." Wythenshawe Town currently sit fifth in the Hallmark Security League and travel to New Mills this Saturday, looking stretch their unbeaten run to eight matches following a convincing 4-2 victory over Ellesmere Rangers on Tuesday evening.